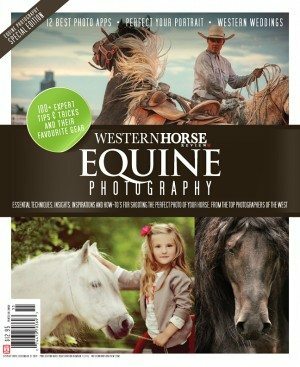 Since the May/June issue of Western Horse Review has been released, I’ve been asked several times to have my Editor’s Note reprinted on various websites and blogs. I appreciate the gesture, so I’m reprinting it here for sharing purposes. Feel free to link to it and if you haven’t already read Deanna Buschert’s excellent piece, Horse Meat Market, in the issue, be sure to pick it up – it’s on newsstands now. 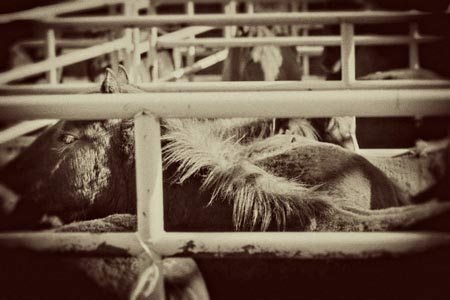 The heavy topic of horse processing, or slaughter, is multi-faceted, with many tangents. It bears down on breeders who play the odds producing what many consider is far too many foals. It lives in our sense of the majesty of a wild mustang and its symbolic freedom. It presents a major public relations threat to the sport of horse racing and all other horse activities. It dwells on humane issues such as neglected and unwanted horses, transportation and slaughterhouse facilities. It speaks to each and every one of us to be responsible horse owners, buyers and breeders. In the story Horse Meat Capital, we decided to focus on one aspect of the debate – the slaughterhouse. This piece was decided on after the emergence of disturbing video footage of horses in a Quebec slaughterhouse. I want to thank writer Deanna Buschert for putting herself “out there” with her firsthand account of her trip to Bouvry Exports. It was a brave move. One more thought. 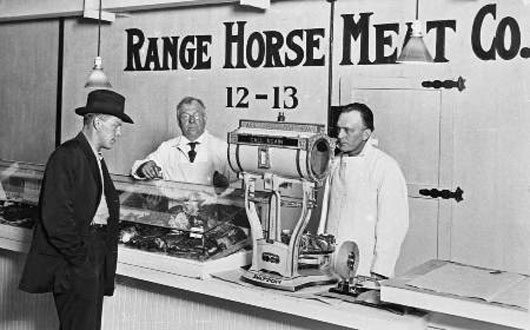 We’ve been posting horse processing related articles now and again on our Facebook page and my blog. The debate in the comment sections on both venues is often heated and emotional. Something that became very clear to me from the beginning: activists are extremely well mobilized. Case in point: our Home Page web poll asked the question, “is the option of horse slaughter necessary for a strong, viable horse industry?” When I pulled it down a week or so ago there were nearly 7,000 votes on the poll, with over 80% on the NO side. I’d love to inform you our web polls always have that level of response, but that’s simply not the case. Generally they average 250-500 votes. Activists skewed this poll, and a close look at our analytics program confirmed it. Another case: I ran a blog post about a talk show incident on National Public Radio, during which the pro-slaughter guest left the show mid-air, a press release later stating she was “ambushed” by the other guests – all anti-slaughter advocates. Within an hour there were several hundred comments on the post awaiting approval – all commenting against, and many bluntly attacking, the “ambushed” speaker. Finally, just last week an e-mail hit my Inbox; the writer mentioned she was browsing our website and was about to post it, “to share with my several thousand followers and Facebook groups that relate to horses,” but thought she should check with me first to see what my “stance” is on horse slaughter, “since we try to network with and promote only those who are totally opposed to slaughter.” The writer was from Manhattan. There’s a generous thought out there that everyone deserves an opinion. Lately, I’ve been questioning that. If your name is Madeleine Pickens, and you’ve saved hundreds of wild horses and given them sanctuary on your land, with your effort and your money, you are a stakeholder and your opinion should be considered valid. 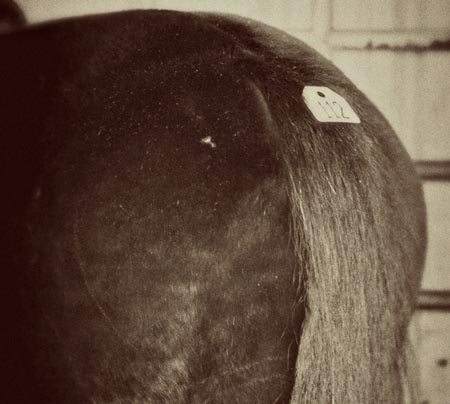 If you’ve never known the full flavor of horse ownership in a manner that is relative to both your heart and your financial being – yes, the magic moments, but also the hit in the gut of an unexpected bill; then you haven’t seen the difficult choices that sometimes need to be made. If you haven’t experienced the sadness of observing an old or unsound horse in a pasture, clearly suffering weather elements and struggling with the business of staying alive as best it can, you don’t really know anything about horses. If you run with an angry and emotional gut, without much of a track record of informed decision-making, perhaps you should step back from this one. For this dilemma needs a good measure of logic to comprehend. If you are a wealthy celebrity with a few horses running on your “ranch” and you enjoy the satisfaction of stepping into a controversial limelight and speaking out against horse slaughter, perhaps you should open up your pastures to a few thousand of said horses. Then you’ll be a real stakeholder, and your opinion will deserve attention. If you believe the overpopulation of domestic horses will just take care of themselves if processing is outlawed; or, that there are enough horse rescues and able people in the world to look after all of the unwanted stock; or, believe in fairy tales, then perhaps you need to do a bit more research. 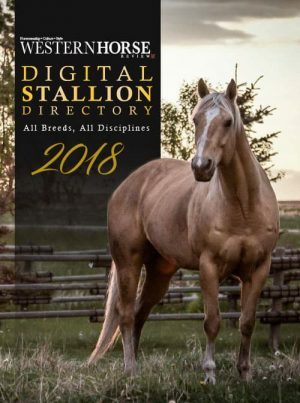 I spend an hour every morning reading newspapers, blogs and social media outlets gathering information and leads for Western Horse Review, and I can report to you, there has nary been a day in the past year, that I haven’t read about a horse neglect, abandonment or starvation incidence harsh enough to turn my stomach. I have come to understand that while everyone else is entitled to an opinion, the decisions of horse processing ultimately, will need to be decided by the real stakeholders of the welfare of the horse and the horse industry. Currently, that doesn’t seem to be the case. Have you heard of the United Horsemen organization? The group has drawn both positive and negative media attention since their inception a couple of years ago. 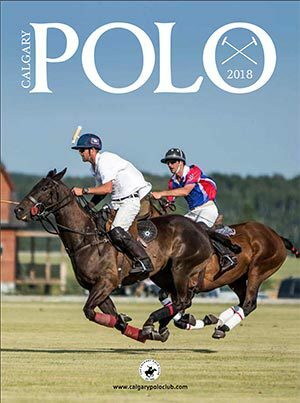 Most recently they postponed their second annual International Summit of the Horse, originally scheduled for this weekend forward to January, 2013. 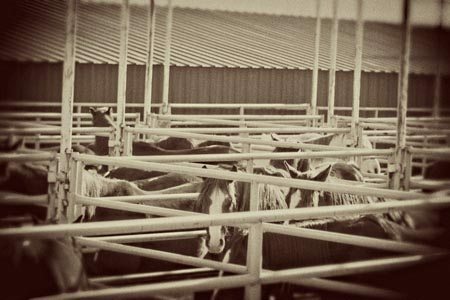 Instead, they stated in a press release, they are going to focus on a two-prong and ambitious program towards their mandate, which is “working for a better future for the horse industry.” The new initiative is set to co-incide with the reopening of USDA regulated horse processing facilities in the United States. You can read all about that on their website. Just today, on the National Public Radio talk show, Sound Off With Sasha, four guests were invited on the show to talk about the issue of horse slaughter. The guests included philanthropist/business woman Madeleine Pickens, dedicated to provide sanctuary for wild mustangs, President of the Humane Society of the United States, Wayne Pacelle, author R. T. Fitch, co-founder and President of the Wild Horse Freedom Federation, and representative Sue Wallis, Wyoming State Legislator, former vice-president of United Horsemen, and a proponent and advocate for horse slaughter plants in the United States. The resulting interview is quite insightful, particularly as a marker of the general public’s beliefs and perception of horse slaughter and wild horses (read: caller’s in). Of note, Canadian processing plants are mentioned in the interview several times. But, quite apart from that, United Horsemen now maintains that Wallis was the victim of a “set-up organized specifically to harass and vilify her personally, and the horse industry in general.” Wallis was apparently not aware of the other three guests on the show – all high-profile and staunch advocates against horse slaughter, believing she was being interviewed about the horse industry and the need for humane and regulated processing in the U.S.
Was Sue Wallis ambushed in a media setup by animal rights bullies? Here’s the link to the interview. Listen in and sound off on what you think. We published a recap from the recent Summit of the Horse, held in Las Vegas from Jan. 3-6, a few days ago in the Breed & Sports News blog. Since then I’ve received many more pieces of information of what went on at the Summit, and the talk at the conference. The United Horsemen is a group of horse women and men, who have a sincere interest and concern regarding the welfare of our horses – particularly those in the category of “unwanted”. “The Summit of the Horse was absolutely jam packed with solid, fact based and scientific, statistical and charted information, presented by people who are the absolute unequivocal experts in their fields. Not only ranchers and trainers, but representatives from every branch of the horse industry were present, which included, conservationists, rescues for both domestic and feral horses, cattlemen’s associations, tribal council members, veterinarians, breed registries and associations representing various disciplines, representatives for the USDA, as well as Canada and Mexico. Dr. Temple Grandin happened to be one of my personal favorites. Additionally, there were at least two Senators present, as well as constitutional lawyers, and representation on private property rights were also included. Our friends Bill and Jann Parker of Billings Livestock, were also there. The Parker’s have long run this equine sale venue, and have a great reputation for bringing solid and dependable stock horses, performance horses and even ponies and mules to their sales. Some of the most prominent breeders in North America have consigned to a Billings Livestock Sale at one time or another. 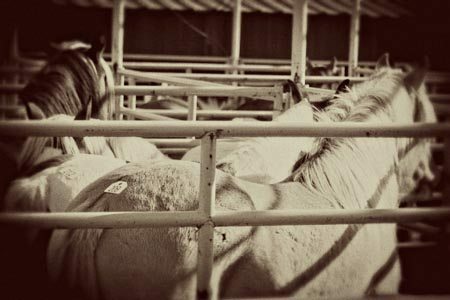 They also run a number of “loose” horses – horses which run through the auction ring without a rider, through their sales. Although loose horses are often saddle broke, they sell for much less than saddle horses and are often bought by kill buyers. Bill and Jann Parker served on the Horseman’s Forum, “Necessary Steps to Restore Lost Value and Normal Markets. “ The forum had a wide range of speakers, from the Horseman’s Council of Illinois and the Master of Foxhounds, to the Intertribal Agriculture Agency and a veterinarian from Iowa. They related what effects they have noted from the closing of the American horse slaughter plants. Below, I’m reprinting an excerpt from a news release written by Sue Wallis, Vice President of the United Horsemen. You can read the entire post here. BLM Director Bob Abbey spoke on the Wild Horse and Burro Program. “He seemed to understand our frustration with the issue, but he has other groups he has to answer to. He knows there is a lot of work to be done with the huge population of wild and feral horses on federal lands,” Parker noted. Parker said the highlight was listening to Dr. Temple Grandin, the now-famous livestock handling equipment designer who travels around the world speaking on autism and livestock handling. 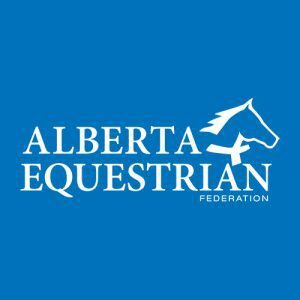 Other topics included setting a high standard for humane horse processing, efforts to provide humane and economically viable options, the equine market report, protecting grazing and other rights, and a variety of other issues. At the head of this blog post stands the mission statement of the United Horsemen. If you are interested in knowing more about this committed group, check out their website here. Remember, they are an entirely volunteer organization. Not one speaker at the Summit was paid, all were there on their own dime, and with a sincere concern for the welfare of horses in our society.